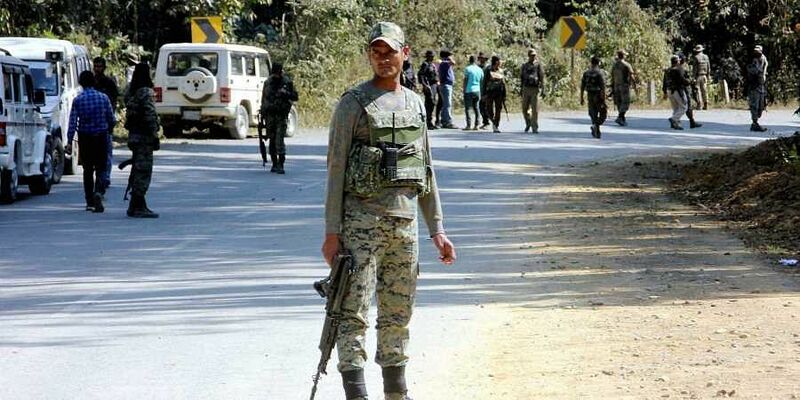 One Assam Rifles jawan was killed and three others were injured in an IED explosion carried out by militants near the Indo-Myanmar border in Manipur's Kamjong district. IMPHAL: Suspected militants carried out an ambush on a patrol party of the Assam Rifles by triggering an IED blast that left a jawan dead and two other personnel injured in Manipur on Monday. According to defence sources, the attack was perpetrated near Kangpat village under Khamjong police station in Khamjong district at around 9:30 am. “Troops of the 31 Assam Rifles were on a foot patrol when the attack was carried out. A jawan was martyred while two other personnel were injured in the incident. The condition of the injured personnel is stable,” a senior official of the Assam Rifles told TNIE. He added that the hand of the People’s Liberation Army was suspected in the incident.